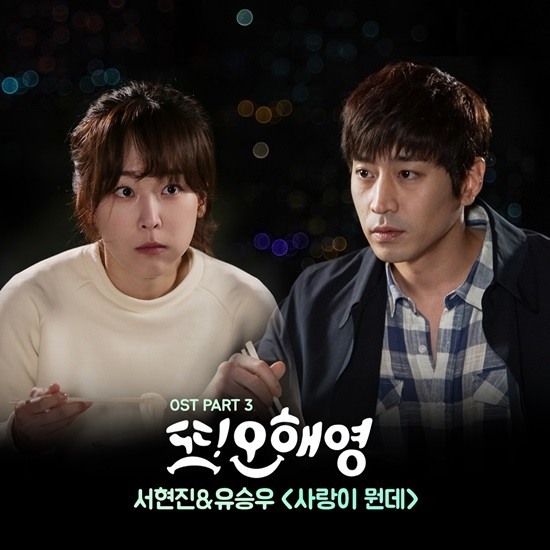 A soon-to-be-released song from the “Oh Hae-young Again” original soundtrack will feature the female lead of the tvN romantic comedy. “What is Love,” a duet song by Seo Hyun-jin, who plays the unremarkable yet adorable Oh Hae-young, and soloist Yoo Seung-woo, is to be released on Monday at midnight. Seo debuted on entertainment scene as the main vocalist of now-disbanded girl group Milk. The fourth episode aired Tuesday and took a 4.2 percent viewership share, which is a strong figure for a cable series.